Many hair styling products designed for a strong hold are based on heavy, waxy compounds. If you have ever tried to rinse off an ordinary wax-based cream, you probably know how difficult it could be to get rid of it completely. Worse, ordinary styling products are usually offensive to your hair, drying it out and leaving it dull. 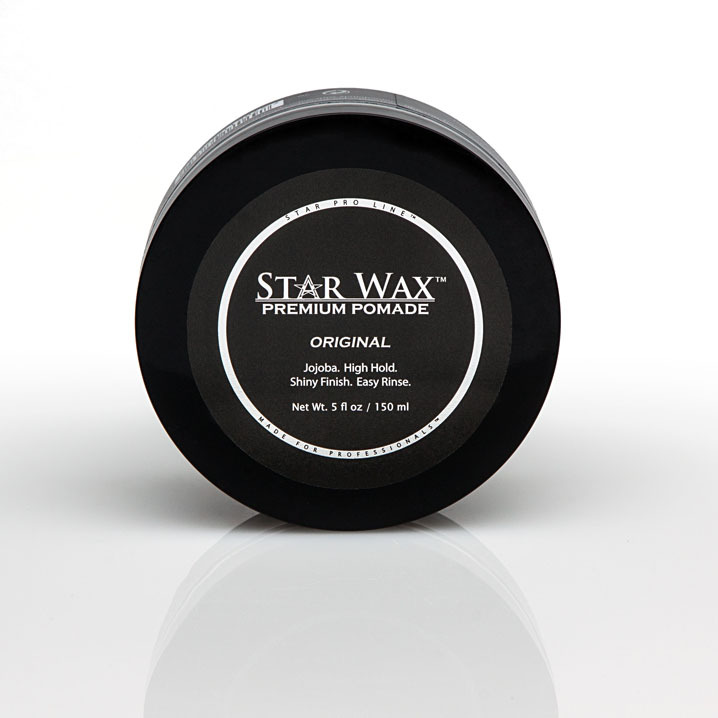 Star Wax™ Original is a high-performance, strong-hold styling pomade specifically engineered to address all of these problems. The unique formula behind Star Wax is based on a combination of pure, distilled water and jojoba essence, allowing it to rinse off completely from your hair without leaving any residue. However, unlike other easy-to-rinse, water-based styling products, Star Wax provides an exceptionally strong hold. The jojoba extract nourishes and protects your hair and scalp, providing a long-lasting feeling of moisture. 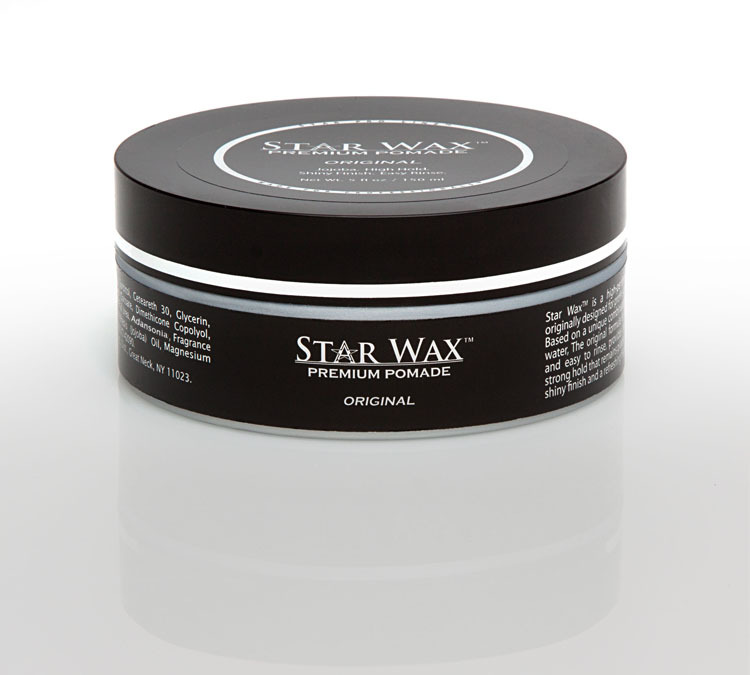 Star Wax is so friendly to your hair, it can be used for years without affecting its condition at all. When you use Star Wax Original, you will notice that while it is extremely strong compared to ordinary water-based products, it actually remains elastic, even after it dries. Many styling products make your hair brittle when they dry out, but Star Wax maintains its firm hold without making your hair feel hard and inflexible. 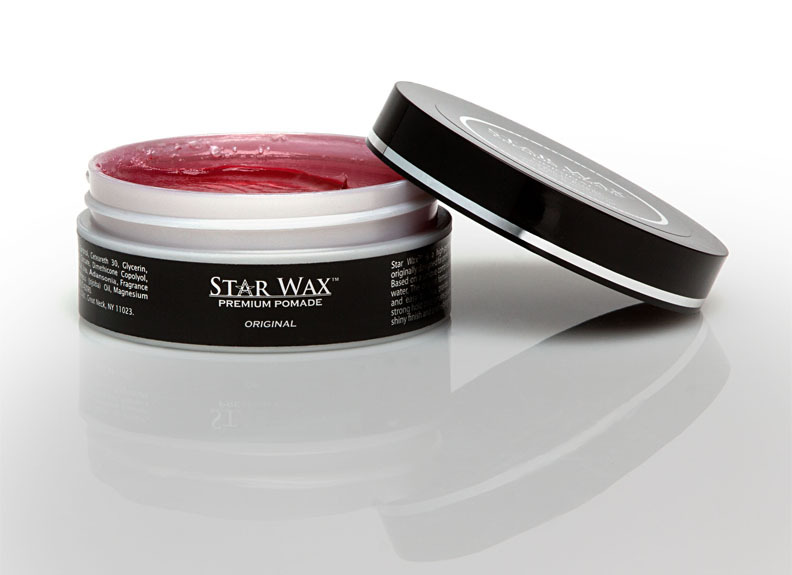 In fact, you can even restyle your hair throughout the day without affecting Star Wax’s hold. 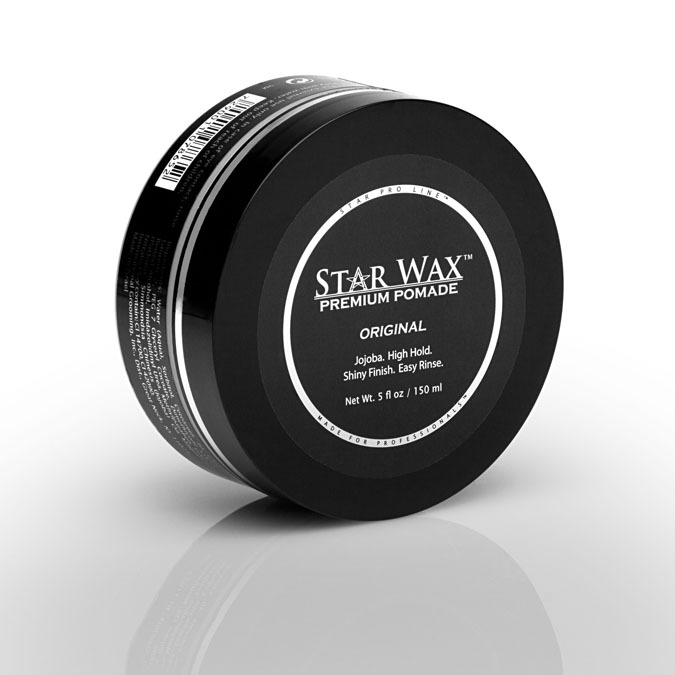 Star Wax’s long-lasting holding power will easily survive multiple restyles. 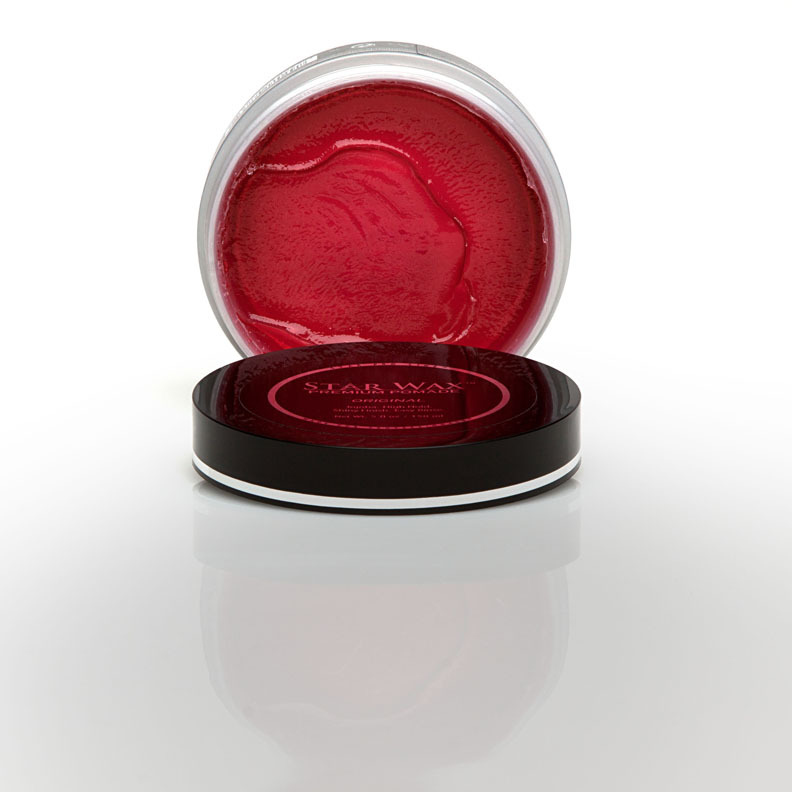 Star Wax Original provides a shiny finish and features an allergen-free, refreshing fragrance. Ingredients: Water (Aqua), Ceteareth-20, PEG-7 Glyceryl Cocoate, PVP/VA/Vinyl Propionate Copolymer, Fragrance (Parfum), Laureth-7, PVP, Glycerin, Polysorbate 60, Phenoxyethanol, Mineral Oil, Simmondsia Chinensis Oil, Vitis Vinifera Seed Extract, Adansonia Digitata Seed Oil, Argania Spinosa Oil, Triethylene Glycol, Butyrospermum Parkii Butter, Hippophae Rhamnoides Extract, Tocopheryl Acetate, Borago Officinalis Seed Oil, CI 14700.